For the first time in six centuries, a pope has resigned. Citing advanced age and frailty and after examining his conscience before God, Pope Benedict XVI said in a statement, “I have come to the certainty that my strengths, due to an advanced age, are no longer suited to an adequate exercise” of his position as head of the world’s one billion Roman Catholics. Upon learning of the news of Pope Benedict’s resignation, General Secretary Ivan Abrahams recalled time spent in the company of the Pope at various ecumenical and interfaith conferences attended by both him and the prior General Secretary, the Rev. Dr. George Freeman. Most recently the Vice President of the World Methodist Council, Bishop Sarah Davis, was a guest of the 13th Ordinary Synod of Bishops of the Roman Catholic Church. “It takes courage, particularly for those of us in religious vocations, to realize that while your spirit may be willing to carry out a task, your body is unable,” noted Abrahams. 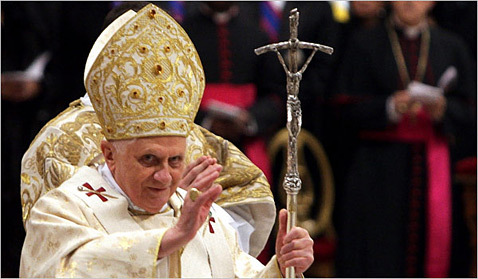 Pope Benedict XVI will continue to carry out his duties until February 28. The World Methodist Council would like to extend our prayers towards our Roman Catholic brothers and sisters throughout the world during this time of transition. Our prayers are also with both Pope Benedict and those involved with choosing his successor.